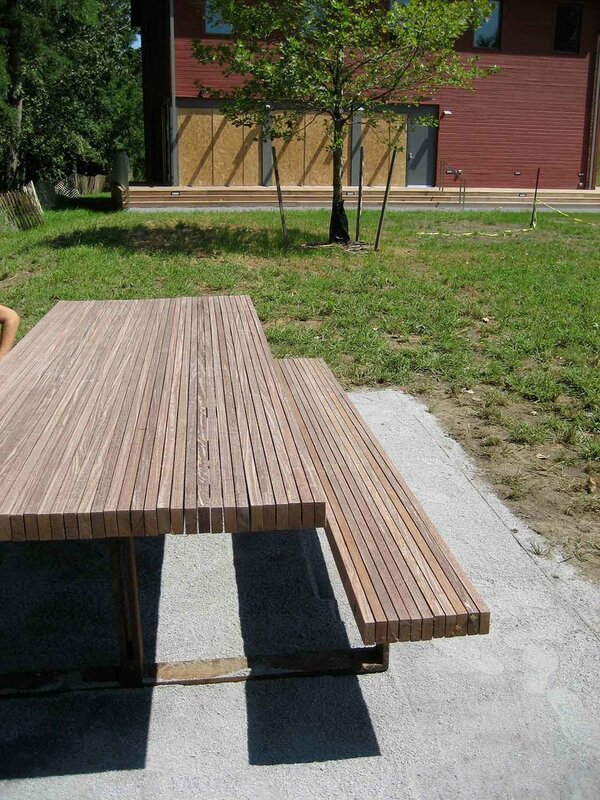 Outdoor tables in sustainably-sourced, unfinished Peruvian cumaru and Corten steel. 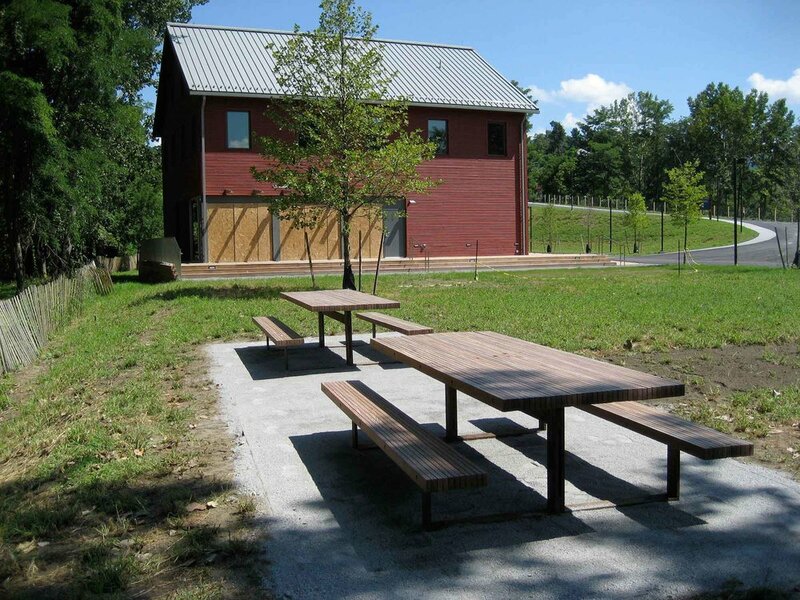 Part of the Hudson River Education Center and Pavilion at Scenic Hudson's Long Dock Park. Collaboration with Scenic Hudson, Reed Hilderbrand and MetConix.